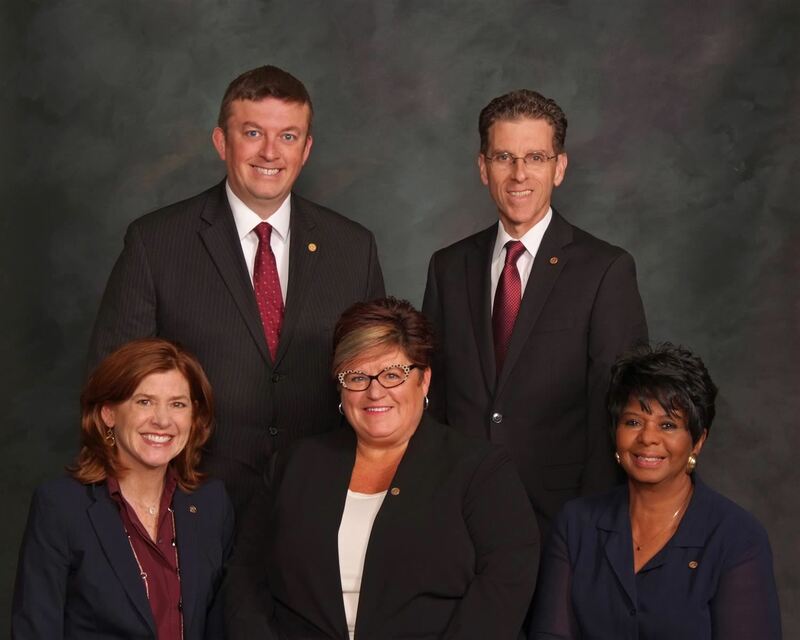 CCSD School Board meetings are held monthly, usually on the second Monday of the month, 7:00 p.m., at one of the schools in the Cherry Creek School District. The Board invites citizen involvement in the schools, believing that a quality education is a responsibility all must share. For more agendas, minutes and other information, please visit the district’s Board Docs page. Board members pictured in back row (l-r): David Willman and Eric Parish. Board members pictured in front row (l-r): Karen Fisher, Kelly Bates and Janice McDonald.